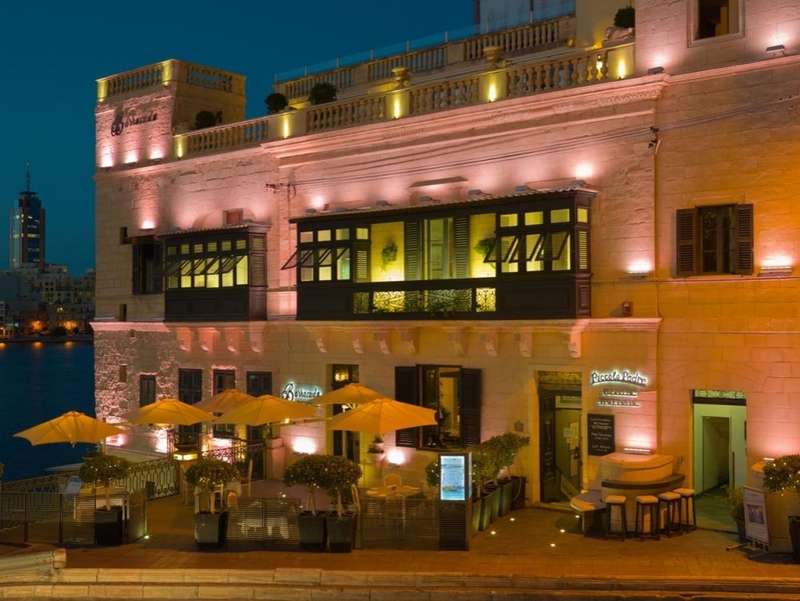 One of our favourite casual eateries in the Sliema and St Julian's area. 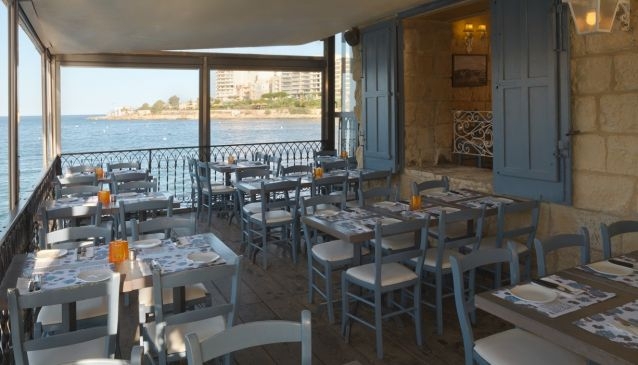 Book early to reserve a table on the outside terrace perched over the picturesque bay. 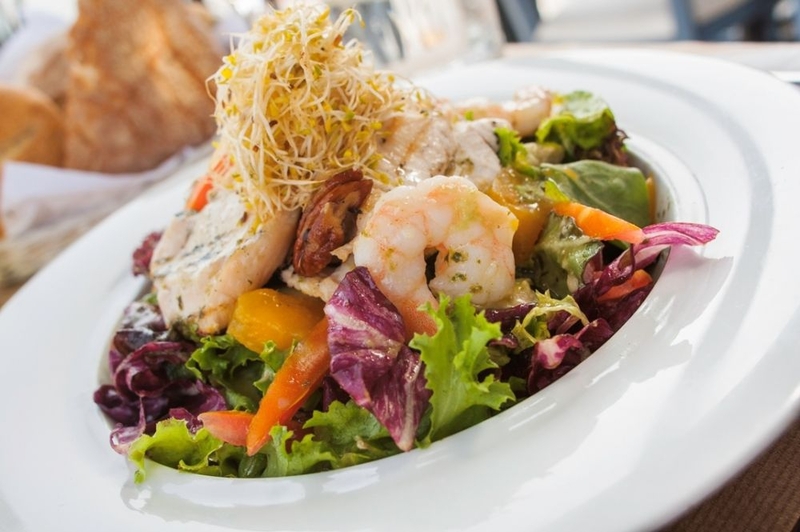 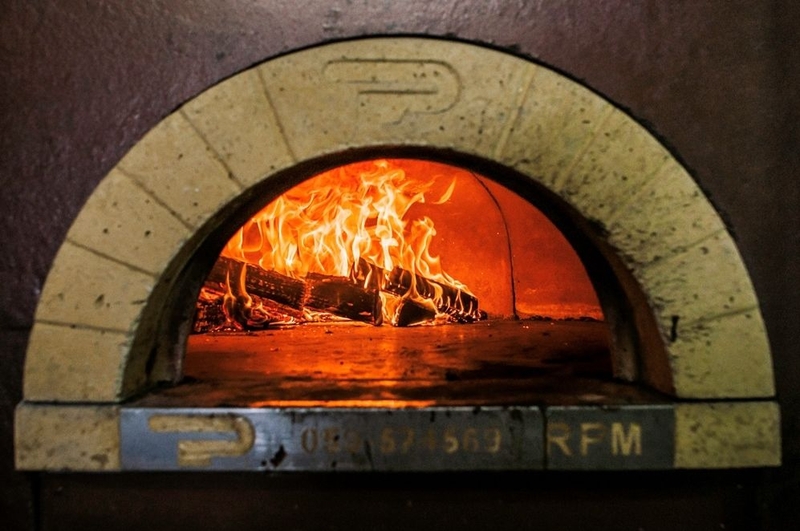 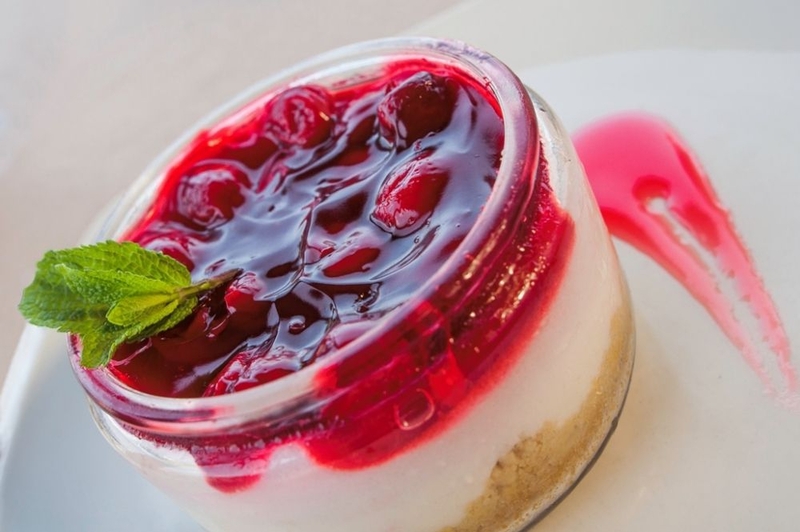 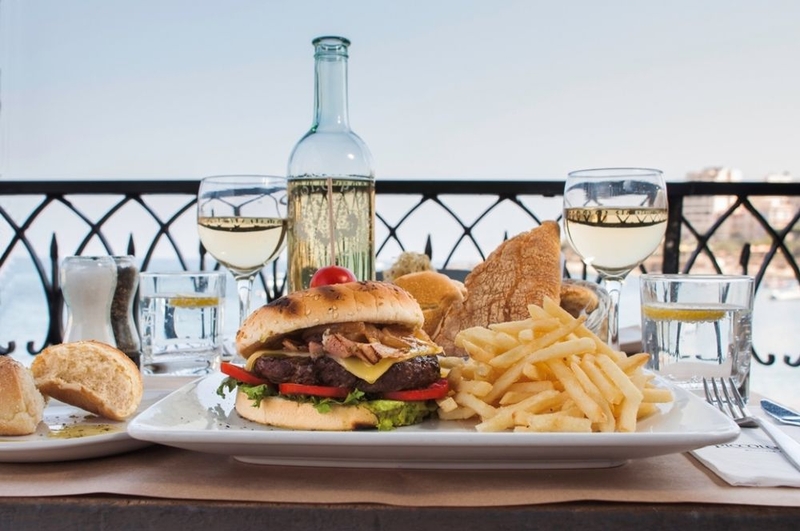 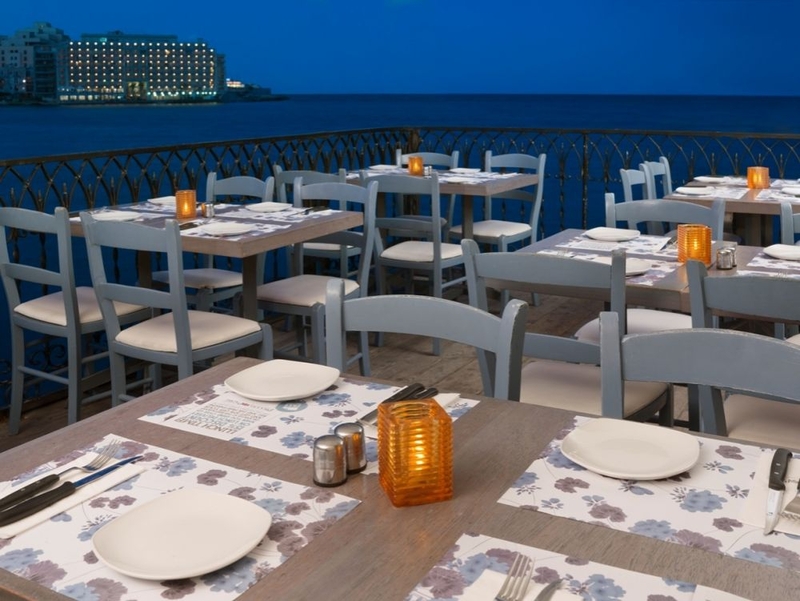 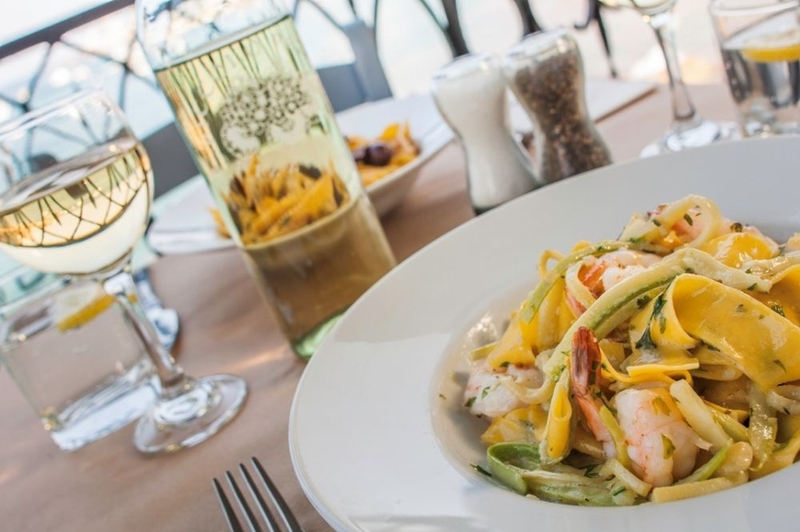 Piccolo Padre is conveniently located along Malta's most popular stretch of coastal promenade - the Sliema/St. 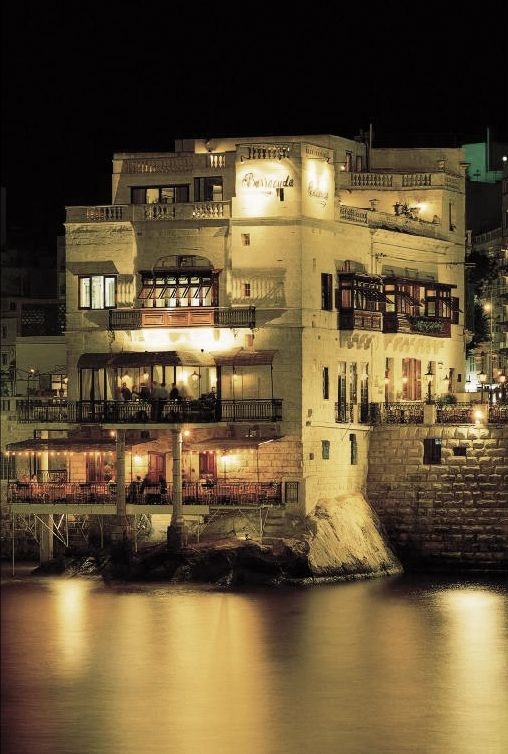 Julian's front. 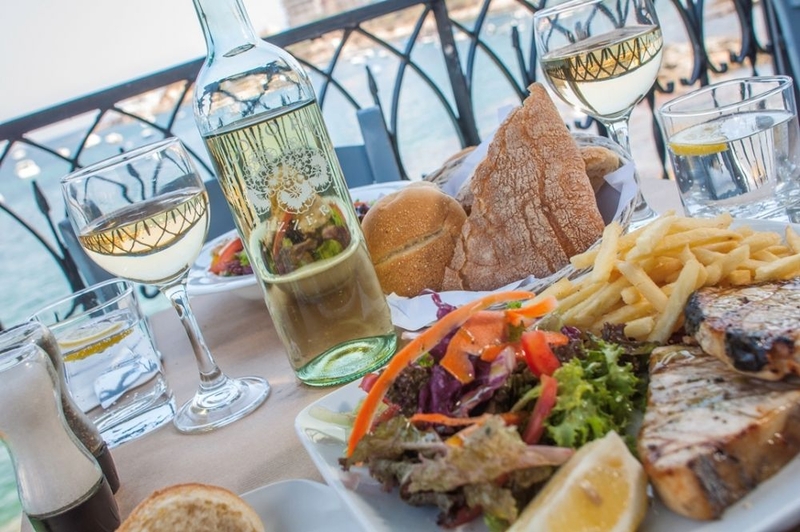 It is a situated within a delightfully converted 18th century building just a few meters away from the prominent church overlooking Balluta bay. 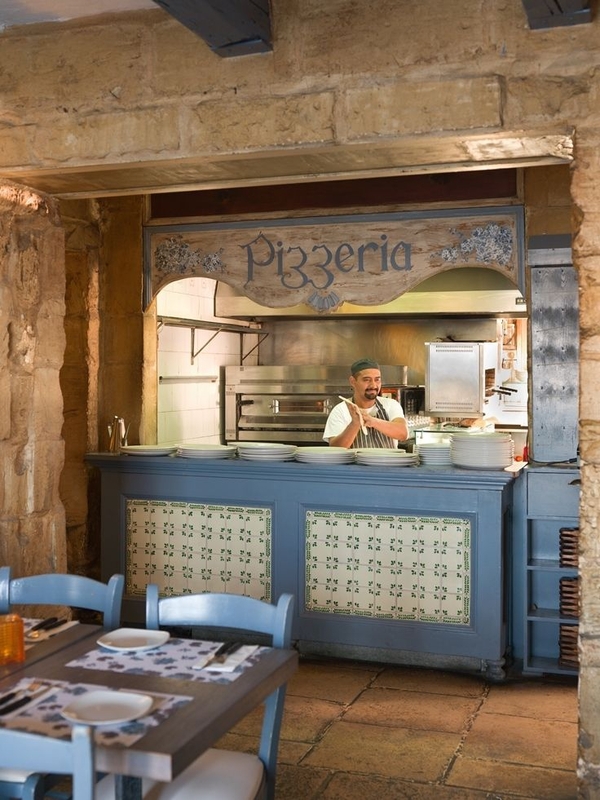 A few steps from the promenade lead you down into a rustic and charming interior with authentic limestone bare walls in a space full of character. 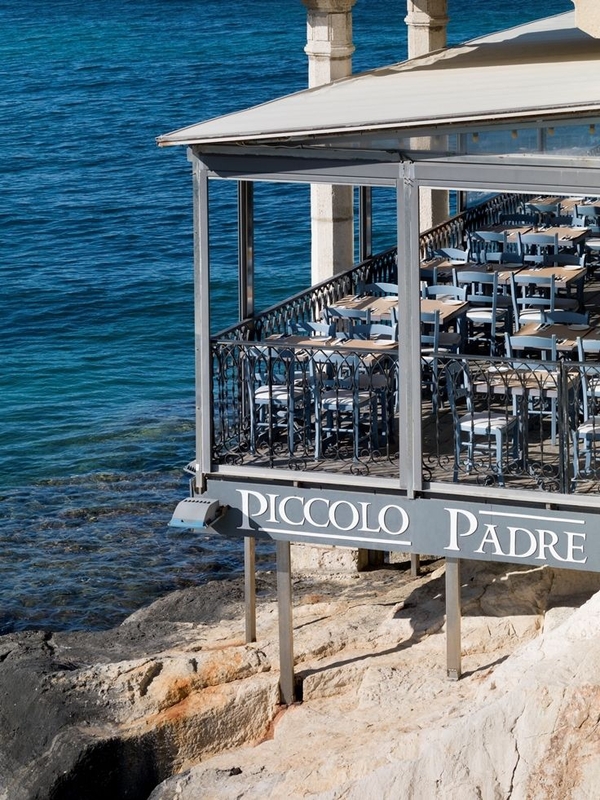 Two sides of Piccolo Padre's perimeter are convertible balconies from where you can enjoy a sea breeze during the summer and be sheltered from the elements in the winter. 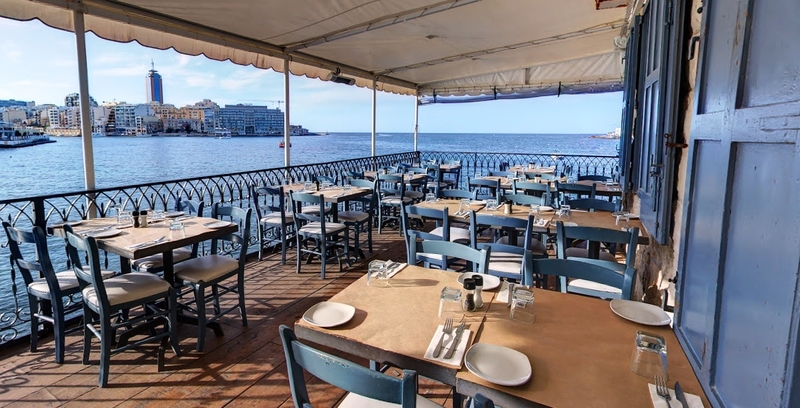 In both cases, the lovely views of the Mediterranean and St.Julian's are never compromised. 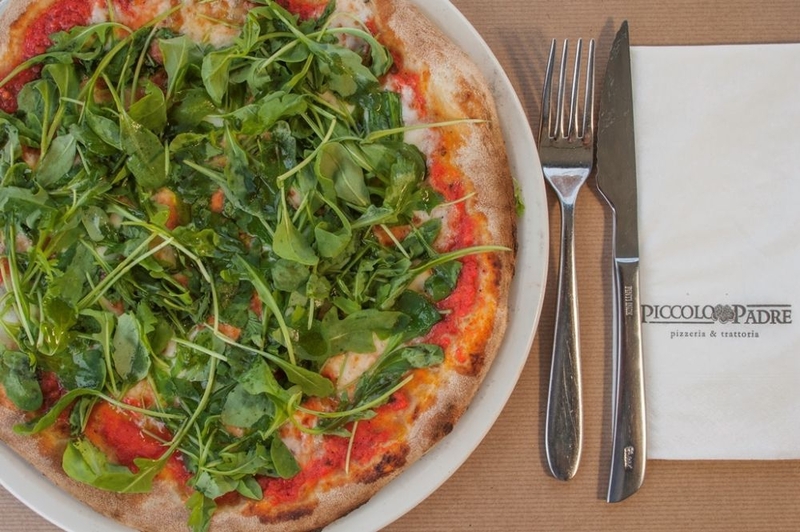 Piccolo Padre is an ideal setting if you are looking for a lively evening in a full house with good food and a cheerful atmosphere.